Stylings of the 1950s are at the heart of this cute and cool German kids clothing label. Robe of Feathers was founded by mother-of-two Nele Hinrichsen who worked at high fashion label Vivienne Westwood Couture for many years. 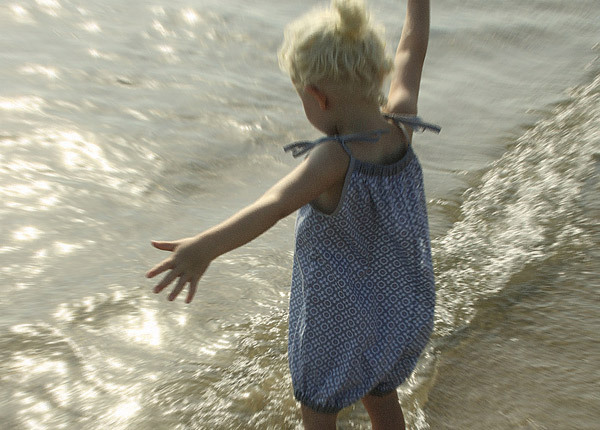 Drawing from her impressive experience in the fashion industry, Hinrichsen creates beautiful clothes for children aged six months to six years from her studio in Hamburg. There are many adorable clothes to choose from at Robe of Feathers, but this playsuit has got to be at the top of my list. Inspired by Hinrichsen’s mum’s own creation from the 1950s, it has a baggy style to give kids lots of room to move and play. It has a blue Moroccan pattern with contrasting grey cotton on the elasticated edges and two grey ribbons on the shoulder. Costs $85. Robe of Feathers also sells plenty of trendy pants and tops to mix and match. 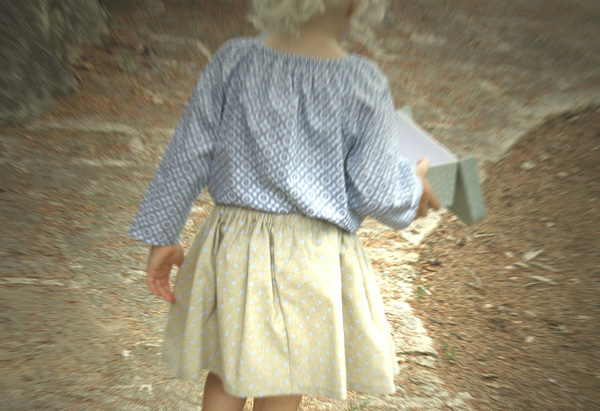 These linen Rosa Pants are perfect for playtime and cost $76. 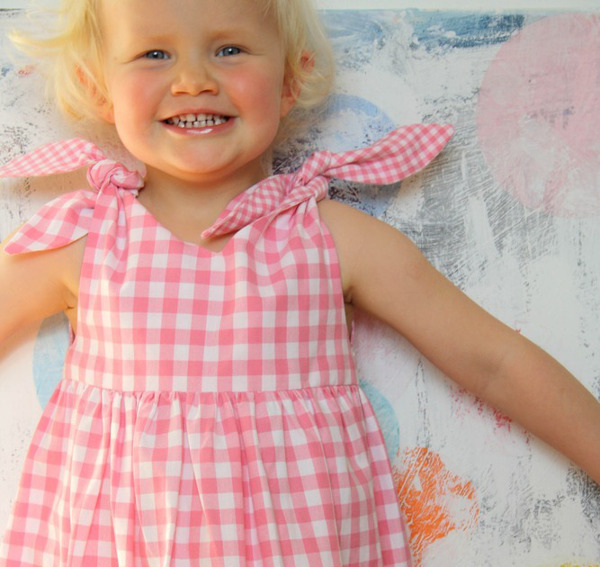 When summer comes along, make sure to check in at Robe of Feathers to get your hands on this gorgeous Rabbit dress in pink check. Another 1950s classic, with knotted shoulder and teardrop detail at the back. Costs $70. 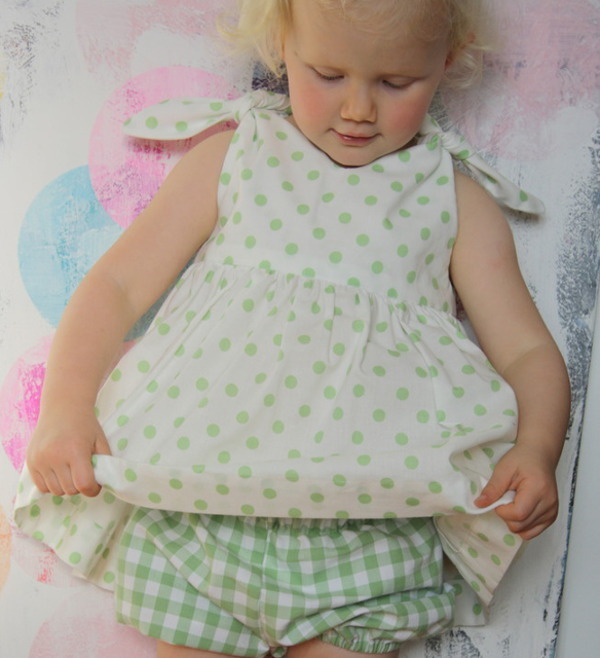 Mums who like to dress their little girls in pretty dresses will know how hard it is to find a good pair of bloomers. Wear them with a dress or as summer shorts. These green checked ones are $26. Sustainability and fair work conditions are important priorities for Hinrichsen, so rest assured that Robe of Feathers products are made with ethical practices. Robe of Feathers ships worldwide.